A module that plugs into your car’s onboard diagnostics port can track its location and notify you if someone breaks in or bumps it. Vivint Car Guard can alert you to problems related to your car, including if someone attempts to break in or it gets towed. Custom rules will turn on lights when you re-enter the geofence perimeter, but you can’t set the system to automatically disarm, unlock doors, or open your garage door as these actions could compromise the security of your home. But Vivint says you will be able to configure your security system so that outdoor lights turn on and security cameras record video if someone disturbs the car while it’s in your driveway. Households with teenage drivers can establish geofences around schools and other locations, so that you receive notifications when the car enters and leaves those areas. The GPS function will also track your car’s current location and direction of travel. You don’t need to subscribe to Vivint’s smart home service to purchase Vivint Car Guard, but you will need that service if you want those connected home features (and it won’t work with smart home systems from other vendors). 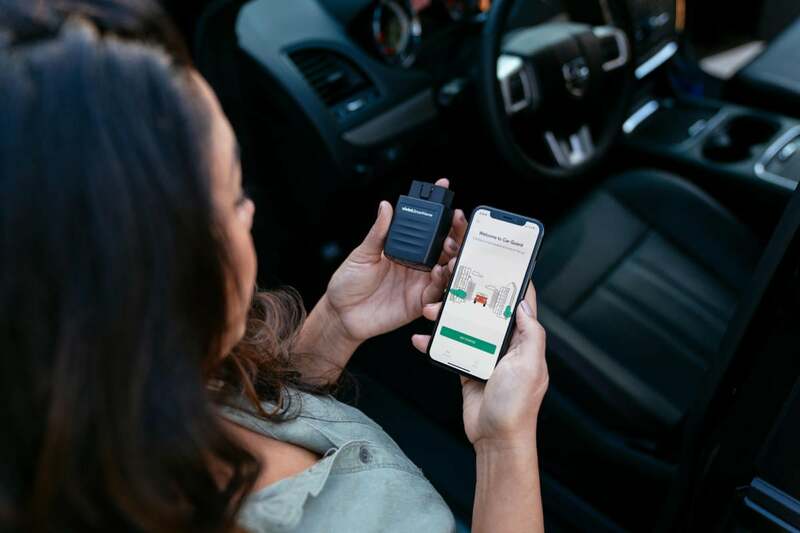 Vivint Car Guard costs $199 for the hardware, plus $9.99 per month for the service, with no long-term contract required (but there is no discount offered for paying annually). The GPS functions depend on cellular connectivity provided by T-Mobile and is included in the subscription.